With the recent spike in users on cryptocurrency exchanges, what is the best choice for US traders? There are certainly plenty of options available and each one offers up different services, exchange rates and levels of security. For US traders especially, being mindful of where the exchange that you’re doing business with is located is important as regulations placed on these exchanges could affect the end-users. The exchange fees and processing time of each platform will directly affect your trading strategy and your ability to conduct profitable trades. Most cryptocurrency exchanges are competitive with their rates. When it comes to exchange times and trading fees, this can depend on network strain at any given time. Kraken is a very popular exchange, ranking fifth in overall monthly traffic behind Bittrex and Poloniex. 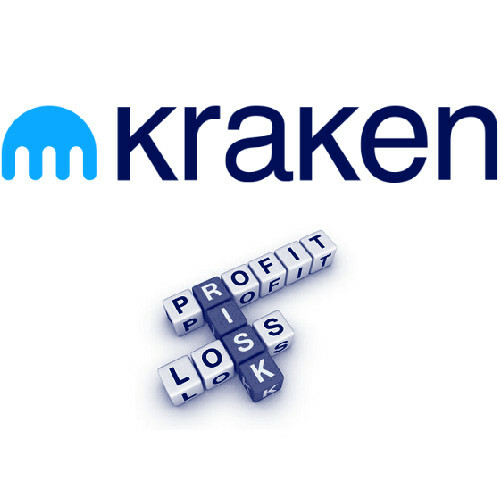 Kraken is a favorite among traders because of its low fees and ease of use for day trading. In addition, Kraken was the first to enforce the “proof of reserves” auditing system, where the total amount of holdings that Kraken has access to was proven to be higher than the total volume its users held. This has established Kraken as one of the most trusted exchanges available. Unfortunately Kraken has its issues with US users, as it does not support deposits of USD, and is not available to those in the state of New York. In comparison with other exchanges such as Bittrex or Poloniex, this makes Kraken less desirable for US customers. In addition to Kraken’s limitations to traders in the US, it has been known to lag when it comes to transaction and execution times, something that can be a hassle for professional traders. Kraken has great security and diversity of coins offered, but its non-US location and buggy executions make it less desirable. The world’s largest Ethereum exchange, Poloniex, rose from obscurity due to its reliability and an innovative UX. Poloniex is better than most exchanges at providing users with complex charts and analysis of the many different altcoins their platform supports. This makes Poloniex appealing for intermediate to advanced traders in the United States. In addition to all of this, Poloniex also has very competitive fees compared to Bittrex and Kraken, and they support over 70 different altcoins. Poloniex is not as well suited as others to onboard new users into cryptocurrencies, like Coinbase or Changelly, as Poloniex does not allow for the initial purchase of any cryptocurrencies using fiat currency. 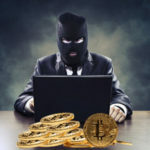 It also has had some questionable security breaches and loss of funds, but Poloniex has demonstrated its reliability by refunding all of those affected by security breaches so far. As one of the newest players to gain traction with its users in 2017, Changelly is an innovative approach to exchanging cryptocurrencies. Rather than simply allowing users to trade, Changelly provides users with the best available trade at the time of their exchange. It allows for users to exchange between most altcoins instantly, making it a direct competitor to the shapeshift exchange. Changelly does not provide market projections and comprehensive analysis like Poloniex, which makes it a great choice for intermediate to beginner traders. Unlike other popular crypto exchanges, Changelly does allow for the purchase of Bitcoin using USD, even though they have extraordinary rates for this action. Changelly is a new player in the game that has received a lot of backlash from the community, but its innovative platform and the ability for users to instantly exchange between big currencies like BTC and ETH into smaller altcoins poise it to become a big player in the exchange market. Shapeshift is a popular platform that is used to instantly transfer between multiple forms of digital currency. It is integrated with the popular digital wallet service Jaxx, and allows you to perform this function straight from your wallet. While it currently doesn’t support the largest amount of coins, its simple use make it a great asset for US traders. Users do not need to make an account or trust any private information to shapeshift, you simply just enter the amount and address and you are done. The security and track record of shapeshift make it slightly more reliable than Changelly, but the recent transaction times have showed the platform’s weaknesses. Shapeshift also does not allow for on boarding into cryptocurrency from fiat USD. The most used platform in terms of traffic, Bittrex is a versatile exchange that supports a vast amount of alt coins. Bittrex is similar to Poloniex in its aim to help traders and provide them with up to date analysis and growth charts. The differing factor is reliability and security, as Bittrex supports more users and has less complaints of lost funds overall. Bittrex offers fair fees that are among the lowest in the market, as well as an extensive list of popular altcoins, such as Golem and the BAT (basic attention token). The best exchange depends on your needs as a trader. Poloniex and Bittrex are good options for those who participate in day trading and speculate on price fluctuations. Poloniex offers slightly better rates for consistent traders, but Bittrex has a better track record. For newcomers and those who just want to “shapeshift” between currencies, Shapeshift offers high levels of security and assurance, but has the potential to lag compared to Changelly, whos transaction times are reportedly very stable. In addition, Shapeshift does not support shapeshifting between some newly popular altcoins just yet. Changelly does offer the option to purchase bitcoin using USD unlike shapeshift, but it has massive fees, as well as 0.5% fee that is higher than most exchanges in the market. When onboarding into cryptocurrency, Coinbase is your best bet. But, it is recommended across the board in the crypto community to send your funds to a wallet for better security and authentication measures. Shapeshift is great because it is natively available in the Jaxx wallet, and it allows for instant transmission between currencies directly in the app. Bittrex and Poloniex are great for keeping up with the trends and price fluctuations of a great majority of the available alt coins, but there always dangers with centralized exchanges. When choosing between these exchanges and others, be wary of the security of these platforms and the overall goals you are chasing when trading cryptocurrency.